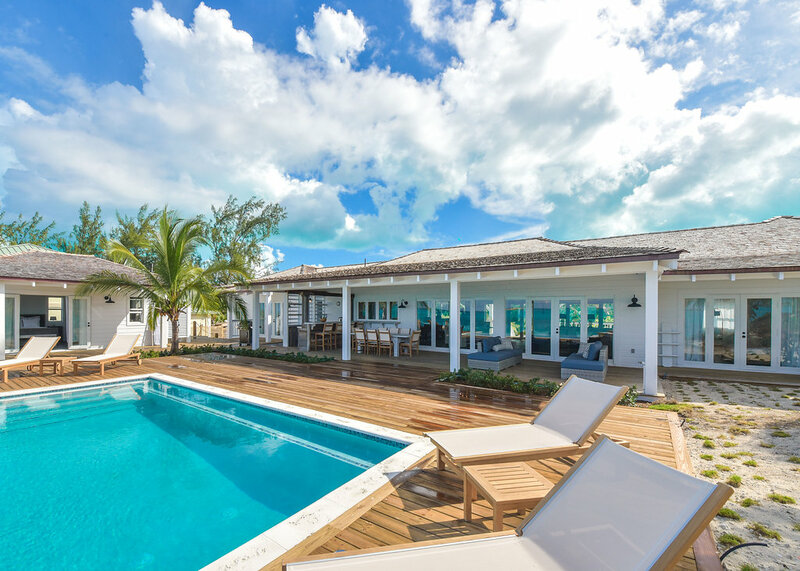 ​The Salt House is a luxury beachfront 4-bedroom villa set on a private cove in Little Exuma, Bahamas. Built in Bahamian architectural style, the home features fine details, open living, and endless views from every room. The layout encourages socializing with family and friends with spaces for seclusion and relaxation. The private cove has 300 yards of white sand beach and the turquoise water stretches as far as the eye can see. The villa sleeps 8 and features a 3-bedroom Main House (sleeps 6) and a 1-bedroom Beachfront Cottage (sleeps 2), all with ensuite bathrooms and incredible views. 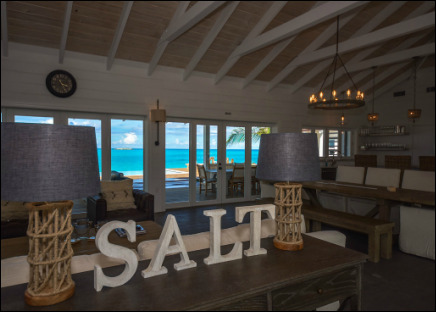 The Salt House offers an infinity pool, 2 outdoor showers, a poolside bar, a stand up paddle board and a 2-person sea kayak. Take a tour of the villa, check out the floorplan, see the bedrooms, pool, furnishings, and learn about the amenities. We added solar power to the house in December 2017 and provides battery backup for pesky power outages that come with island life. Check us out on Instagram and get a daily dose of our tropical island vibes. Fun pictures full of that Exuma Blue you're sure to fall in love with. Plus the occasional posts about events and causes on the island.